Refresh your career by joining our exceptional Marketing team. 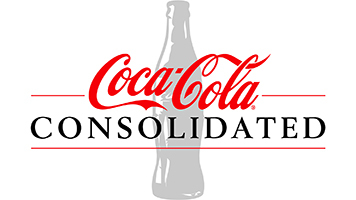 Coca-Cola Consolidated, Inc., the largest Coca-Cola bottler in the US, is looking for Brand Portfolio Administrator. The Brand Portfolio Administrator will provide administrative support to the Coca-Cola Consolidated Brand Portfolio process. The Administrator will assist with internal SKU direction communication to drive sales success. The Brand Portfolio Administrator will work closely with the marketing team and other CCBCC departments to ensure communication flow is optimized. • Manage the CCBCC SKU product portfolio communication. This includes detailed development of field communication including operating plans and customer selling materials. • Cross-Collaborate with key departments including category advisory, revenue management, space planning, customer development and supply chain to create the most effective selling and operating tools in support of the CCBCC SKU portfolio. • Provide analysis of current portfolio performance. • Coordinate other projects as needed by Brand and Commercialization team. • Ability to work independently in a fast-paced environment while meeting productivity and quality expectations. • Must be self-motivated, respectful, positive, team-oriented and maintain a high degree of integrity. • Occasional travel to supply chain office or Coca-Cola sales branch and/or production facilities. All candidates will be subject to pre-employment testing: Background Check, Drug Screen and Physical Abilities Test (if applicable). CCBCC is an Equal Opportunity Employer.